Assuredly, when Internet inventors Vint Cerf and Bob Khan created the technological masterpiece, they probably did not know how massive the creation will be harnessed by many for different purposes including as a platform for earning money through content creation. One of such persons who smiles to the bank regularly today for spending time creating entertaining content on YouTube is KSI, a.k.a KSIOlajideBT. Learn more here, about his background, career, net worth including who his famous YouTuber brother is. Who is KSI and What is His Age? The moniker KSI or KSIOlajideBT is attributed to no other than Olajide Williams Olatunji, the Nigerian-British blogger, vlogger gamer/commentator, musician, rapper, a trained boxer, and comedian. The multi-talented internet personality has etched his name in the history of gamers on YouTube and clinched for himself a Guinness World Record whilst doing what he loves to do best. KSI was born on the 19th of June 1993 to Nigerian-British parents, Jide (father) and Yinka Olatunji (mother), in Watford, the United Kingdom. He was educated at Berkhamsted School in Hertfordshire, England. As a young teenager, KSI started creating content and uploading videos since 2008. He so far has 2 YouTube channels, the second is named KSIOlajidebtHD where he uploads casual and horrific games. Being convinced about the path he wished to tow, he quit high school against his family’s wish, to carve out a career on the internet. This is a decision that has eventually paid off, many years after taking his first step. His YouTube channel now boasts of more than 19 million subscribers and over 4.6 billion video views as at January 2019. His relentless efforts budded in February 2013, when he made an appearance in the video titled ‘KSI VS FIFA// The Record Slam’ a game he won with 190 goals against the computer’s 110 goals thus engraving his name in the Guinness World Records Gamer’s Edition in that year. His prowess on the video game was doubly proven when he defeated the co-founder of Virgin Gaming, Zach Zeldin in a FIFA game in Las Vegas in 2013. KSI later formed a group consisting of 4 other gaming stars Simon Minter, Ethan Payne, Josh Bradley, and Tobi Brown in October 2013. Later in 2014 Vikram Barn and Harry Lewis joined the gaming group called ‘Sidemen’ in October 2013. The gamer veered into the music industry in 2011, he dropped his first single ‘Heskey Time’ on iTunes. The song narrated missed goal opportunities during the FIFA games by the England striker, Emile Heskey. Thereafter, he and Randolph took turns to rap-battle over famous soccer players like Mario Balotelli, Robin Van Persie on the segmented part of the channel. His first extended play titled ‘Keep Up’ dropped in 2016, the Extended play made it to the number 1 spot of United Kingdom’s R&B Album Chart and it also clinched 14th position on the US Rap Albums. From thereon he released more singles and 3 more EPs ‘Jump Around’, ‘Space’ and ‘Disstracktion’. He was inspired to publish a book in September 2015 entitled KSI: I am a Tool in the United States. The book gave details about his career progression, challenges, and controversies among others. In 2017, KSI and the Sidemen started a rumor about his possible deportation because of incorrect documentation, the news drove up the numbers of subscribers on their various channels which led to Joe Weller calling out KSI and the Sidemen in a diss video. The development was followed by back and forth dissing videos from the Sidemen, KSI and Joe Weller. Finally, on 3rd February 2018 a boxing match settled the bickering, the match was won by KSI with a technical-knock-out at the Copper Box Area, London. The match was voted the biggest white collar match in history because of the millions of views it amassed within hours and days of its upload. The success of the match also made KSI, call the American YouTube star Logan Paul and his brother Jake Paul for yet another boxing match between them. 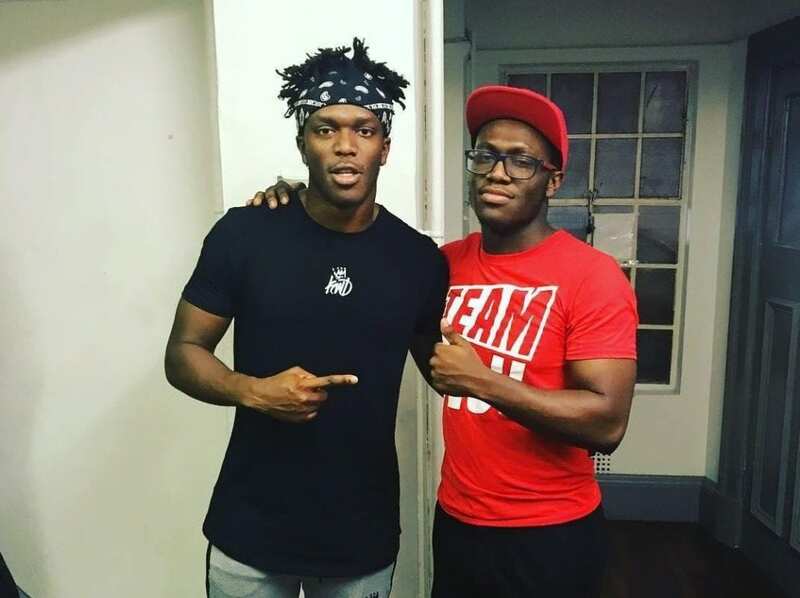 Deji took on Jake while KSI took on Logan on August 25, 2018. The match however ended a draw amidst back and forth dissing videos between the two internet celebrities. KSI has also been trailed with a series of other controversies. One of such was his actions at the 2012 Eurogamer Xbox center that raised an eyebrow on sexual harassment, an act that earned him a life ban from the center. His manager later tendered an unreserved apology for his actions. He also feuded with Gudjon Daniel, and even his own brother Deji Olatunji. KSI’s net worth was estimated by Forbes in 2015 to be $ 4.5 million, that sum has since seen an increase to a tune of $11 million all accrued to him from his YouTube channels, FIFA games, music, book tour, his acting career, clothing line, and endorsement deals. The content creator’s younger brother is Deji Olatunji who is also a YouTube star with the channel name Comedy Shorts Gamer. Deji was born on December 6, 1996, and he has featured severally in his brother’s channel before he started up his own YouTube channel in 2011. His channel has accumulated a large number of followers to the tune of 9.5 million. Sadly, the brotherly love between this two went sour leading to a public beef where the private financial status of KSI was made public. Deji followed this up with diss videos leading to KSI blocking him on all his social media accounts. The videos generated reactions from other celebrities who advised the pair to settle their differences for family sake. Heeding to this advice, KSI tendered a public apology to his brother Deji on December 6, 2018, although, Deji is yet to respond. Logan Paul, during his recent podcast, revealed that Nia Pickering is KSI hidden girlfriend, this story was also picked by online media outlets who equally stated the same fact. So perhaps, the talented KSI was hiding his woman from getting hit with the various diss videos flying back and forth with him and Logan Paul. We eagerly await the reaction or confirmation of KSI that indeed Nia Pickering is his girlfriend. Previously he was in a romantic relationship with a YouTube personality who is known as Seana Cuthbert. The duo started dating in 2012 but they mysteriously broke up around 2014 after 2 years of being together. She has her own YouTube channel which can be found with the name Seanyyy. The Nigerian-British YouTuber is decently tall, he currently stands at a height of 6ft (1.83 m) and his weight is reported to be about 70kg (154.3lbs).